In a stylish private game lodge somewhere near the Kruger Park, Bernie is hoping to entertain his chic Johannesburg celebrity mistress, Suzy, for the weekend. 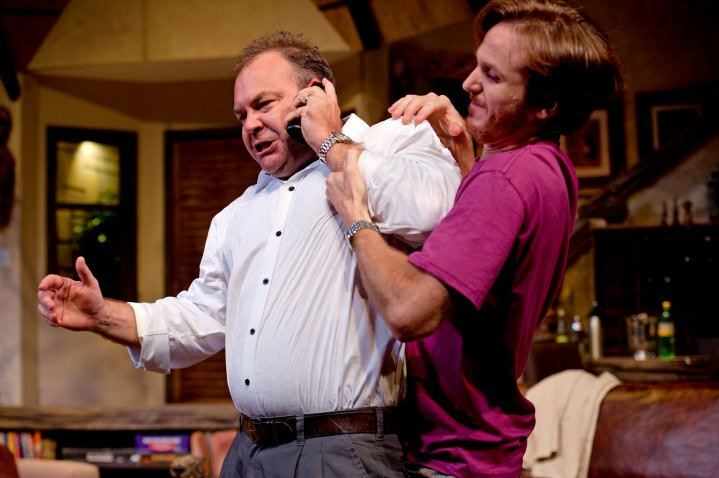 He has arranged for a cordon bleu cook to furnish gourmet delights, is in the process of packing off his wife, Jackie to her mother’s for the weekend, and has even invited along his best friend Rob as a suitable alibi. It’s foolproof. What can possibly go wrong…? 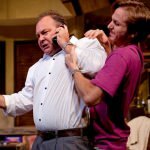 "KickstArt delivers again! 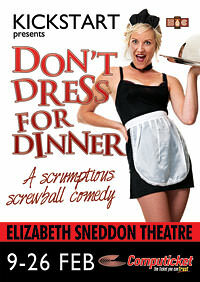 In the highly-professional well-directed and designed style audiences have come to expect from them, KickstArt has produced the hilarious farce, Don't Dress for Dinner by Marc Camoletti, which is a delight from beginning to end." 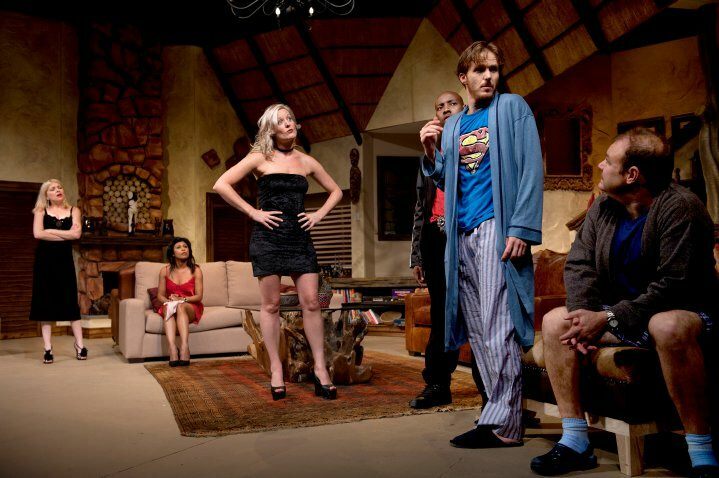 "Mistaken identities, marital infidelities, complicated plot manoeuvring, lashings of humour delivered with precision and at a feverish pace… all find place in this lively and hugely enjoyable farce from Durban's KickstArt Theatre company… the performances are uniformally good… with direction that fully captures the essence of what great farce and good comic timing is all about."